Mercia 4x6 Overlap Pent Bike Store: The Mercia overlap bike storage is the perfect solution for keeping several bikes in this classic pent design. 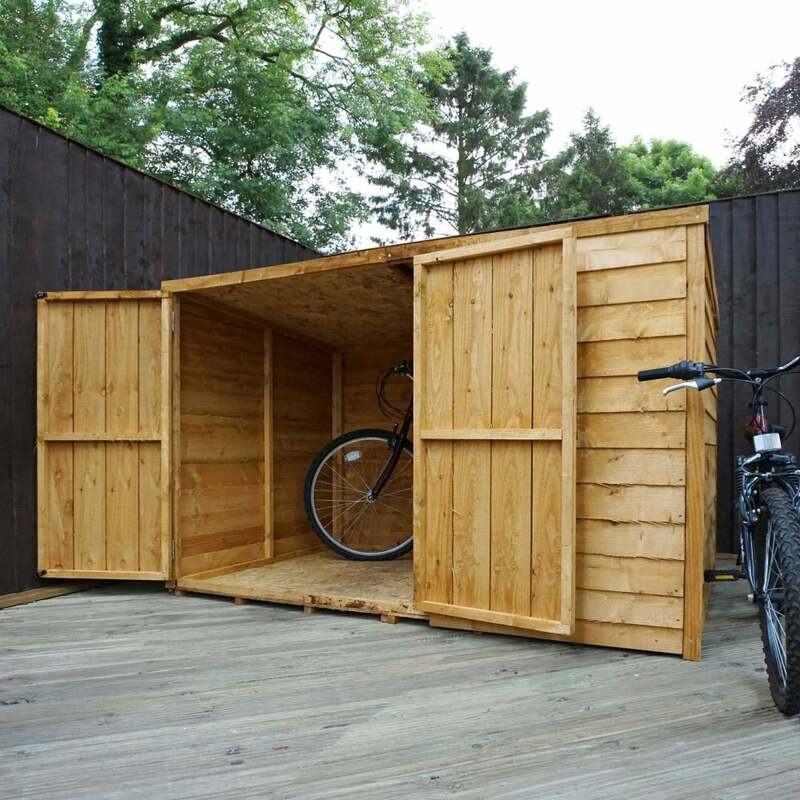 The practical bike shed would be ideal for any size garden without taking up valuable space and at an reasonable price. The timber bike store features 28 x 28mm framing to provide additional strength to the building and large double doors for easy access. The Mercia 4 x 6 pent building is crafted with 8mm overlap cladding and 9mm solid sheet boards for the roof and floor.